The emotional crisis for an ANC voter: Is the devil you know really better? 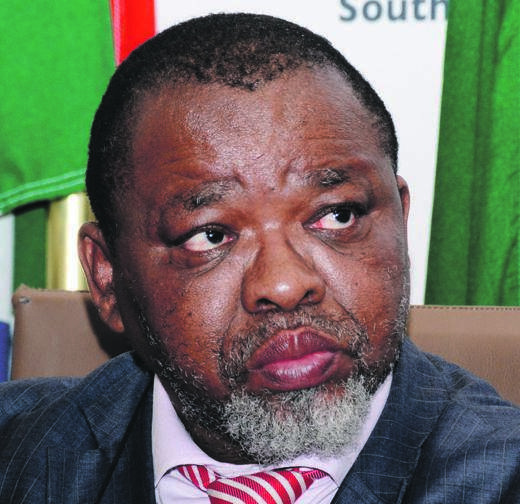 Deputy President David Mabuza and Mineral Resources Minister Gwede Mantashe have been flagged as problematic parliamentary candidates by the ANC’s integrity committee, which analysed the party’s election list. Mabuza, who is also the ANC’s deputy president, and Mantashe, who is the party’s national chairperson, are among 22 individuals about whom questions have been raised by the integrity committee. City Press understands that others on the list are those ANC candidates that the Independent Electoral Commission (IEC) received objections against. These included ANC head of presidency Zizi Kodwa; ministers Nomvula Mokonyane, Bathabile Dlamini, Zweli Mkhize and Bheki Cele. City Press has learnt that the contentious report has left senior party leaders livid about the integrity committee’s alleged overreach, with some even lobbying for the structure to be disbanded. A discussion of the report had been on the agenda list for the fortnightly Monday meeting of the ANC’s national working committee, but the meeting was cancelled, according to insiders. The integrity committee, made up of party elders who no longer have political ambitions, was set up at the ANC’s 2012 elective conference and is meant to serve as the party’s conscience. If the ANC accepts the integrity commission’s report, which has applied broader criteria than the legal framework used by the IEC, those named will be forced to remove their names from the list. City Press could not establish the grounds on which the the 22 had been flagged. George Mashamba, the head of the integrity committee, refused to comment about the contents of the report, telling City Press that the structure had conducted a review and submitted its report to Luthuli House, the ANC’s headquarters. On Saturday, ANC acting national spokesperson Dakota Legoete said officials were considering the interim report submitted by the commission. “With fewer than 25 days before elections, all NEC members are on the ground campaigning to ensure a decisive ANC victory. So, there will be no NEC meeting until after elections,” he said. A Luthuli House insider said Mabuza and Mantashe, who are seen to be close to President Cyril Ramaphosa, were being “unfairly targeted” by political opponents as part of the scramble to secure positions in a reduced post-election Cabinet. “They have been identified as obstacles to other people advancing, as many people still have ambitions to serve in Cabinet,” the insider said. Critics of the report challenged it on the grounds that the 22 people named had not been called in by the committee – in line with its processes – to state their case. City Press has heard that ANC head of elections Fikile Mbalula was also on the integrity committee list. On Tuesday, in a separate process, the IEC cleared 32 ANC candidates against whom objections had been made. Legoete said the party was vindicated by the IEC’s process and had confidence in the integrity and credibility of its list process and internal democratic processes. “We hope that the IEC decision will put to rest the vilification campaign that has been unfairly waged against some of the candidates,” Legoete said. Mantashe said he would not give credence to “malicious leaks” because there was a campaign to besmirch his name. 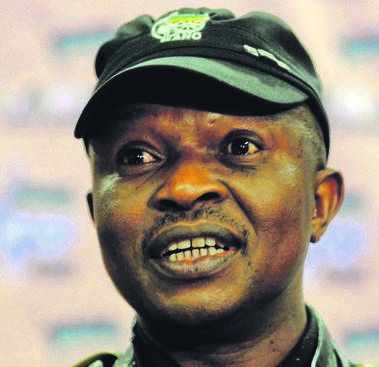 Mabuza’s aides said they were unaware of the report. Mbalula said on Saturday that his name was not on the list. ANC insiders said the conclusion of the report meant that the NEC needed to meet urgently – before the elections – to discuss the committee’s findings. Another source said the integrity committee had been called to an urgent meeting, taking place in the coming days, to explain what process it had followed – in line with its terms of reference – to arrive at the conclusion that the 22 candidates should withdraw. During a dialogue at the Nelson Mandela Foundation in Johannesburg on Friday night, former president Kgalema Motlanthe told ANC members that the integrity commission “cannot touch NEC members”. “It can only address matters addressed to it. If the NEC feels that the integrity commission may give it problems, it will not refer anything to it. That is why the list was referred to the integrity commission on the day of the IEC deadline. At the moment, it cannot touch anybody in the NEC, but it can tell the mayors involved in VBS to step aside. Last year, the integrity commission asked the ANC’s deputy chairperson in Limpopo, Florence Radzilani, and provincial treasurer Danny Msiza to step aside following their implication in the VBS Mutual Bank scandal. Block, who is the former Northern Cape chair, was asked by the commission to resign in 2014 after he was sentenced to a 15-year jail term for corruption. Motlanthe said that as things stood, the commission was a substructure of the NEC and was meant to deal with questions of integrity from the provinces downwards, not national issues. He said if the commission could obtain “original authority”, it could act against anybody, including NEC members. Motlanthe also raised concerns about ANC leaders still needing to explain to voters why certain candidates were on the party’s election list. At Friday’s event, he asked ANC members to pardon him for saying certain truths. This, after he had said that the ANC was dead. At a press conference last week, EFF leader Julius Malema said Ramaphosa was in a conundrum.